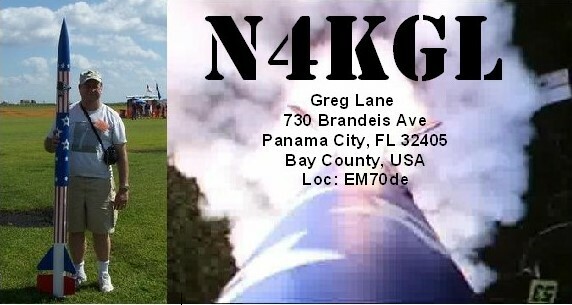 This year, I provided the outside setup for the Panama City ARC 2F Field Day at the Bay County Florida EOC. Our call was W4RYZ. The weather forecast was for thundershowers which was the case. I was expecting a major drenching of the gear but that did not happen. It did quell any idea of operating overnight. Saturday afternoon was nice and sunny. Sunday morning was overcast. Speaking of the Sun, I will cover that first. The 100 watt solar panel keep the battery well charged despite operating the Icom 7100 at 100 watts. The panel pumped 10 amp hours into the battery.After the sun set Saturday we were strictly on battery. I hooked up the power monitor backwards so I don't have good data on the load side. I don't think we challenged the capacity of the 40 amp hour LiFePO4 battery I was using. Also Sun related, I used my two foldable 28 watt panels to charger the 58 farad supercapacitor array for the natural power QSO bonus. I made the five QSOs using the KX3 at 10 watts. The voltage held up nicely. The 100 watt solar panel and the two foldable 28 watt panels. Antenna-wise, I deployed with help from club members all five antennas. These were 1) a 40/20 fan dipole, 2) the Chameleon Hybrid Micro with a 60 foot inverted L with four 25 foot counterpoise wires 3) a two meter ground plane, 4) two Bravo 7K verticals as a parasitic array and 5) a Chameleon Tactical Dipole Lite in a NVIS configuration. Yes, I got those antennas setup no problem but with the rain threatening I packed up the Bravo 7Ks before I used them. Also the supports on the Tactical Dipole were not up to the job and it fell over. So as you would expect the 40/20 dipole worked like a champ on those bands. I kind of forgot I could use it on 15 meters. I did try to tune it on 80 meters by mistake (I thought I was on the inverted L) Well that explains why it would not tune as tuning a 40 meter antenna on 80 meters is worse case load for the tuner. 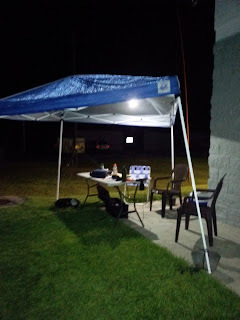 We used the Inverted L on 80 meters Saturday Night but for some reason there were few Field Day stations on the band. I did work a few with effort. Sunday Morning 10 and 15 meters were active and the Inverted L really did a good job there. We had a good combination of operators, loggers, supporters and visitors at the outside station. I particularly enjoyed a visit from my ham/work friend Dennis. I had not seen him in a long time. He recently recovered from a serious illness. He was very interested in the setup and we had some long over-due quality time. Also Michael almost ten years old got the hang of operating and had a good string of contacts. Michael is Bob KK4DIV's Step Son. Suzy our Basset spent Sunday Morning with us. 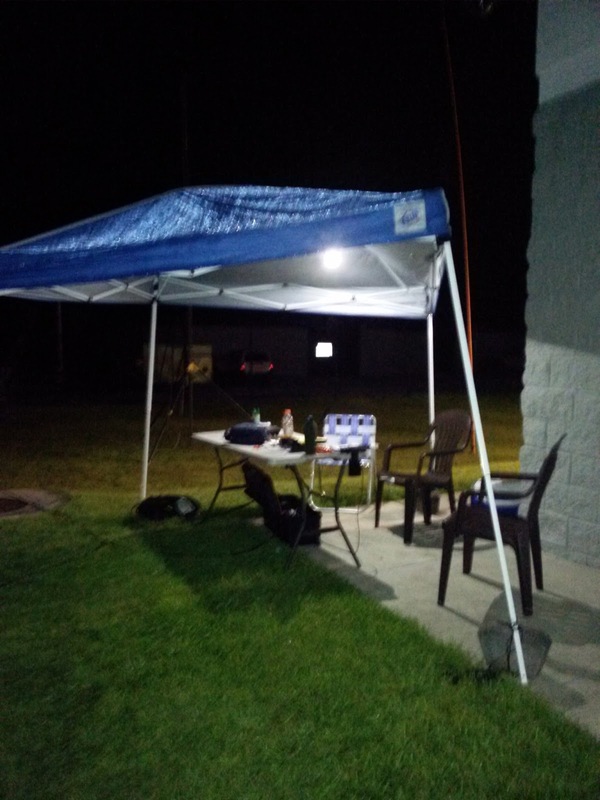 Of course, the outside station was just part of a successful Field Day at the EOC. Thanks to Steve KM4BWV, Jacque KK4LUW, Bob KK4DIV, Mike KM4ELJ, and Bob WB4BLX for joining me outside. Also thanks to Genella (studying for the test) for her enthusiastic support. The Club Hex Beam on Phil N4STC's trailer/tower.